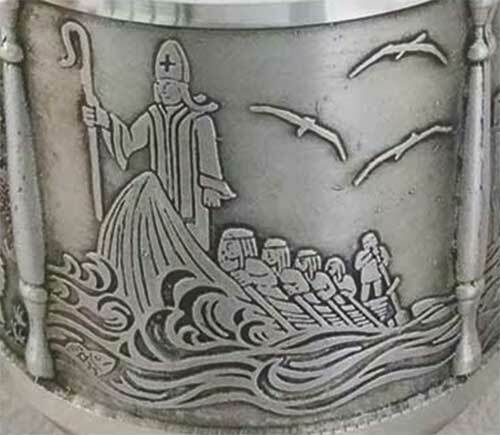 Pewter goblet depicts the story of St. Patrick's life through the designs on the four embossed panels. 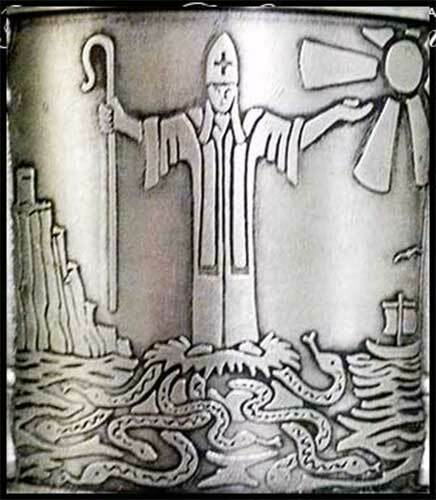 The St. Patrick pewter goblet is diverse as it may be used as a drinking vessel by collectors and it may also serve as a chalice in Christian religious services. 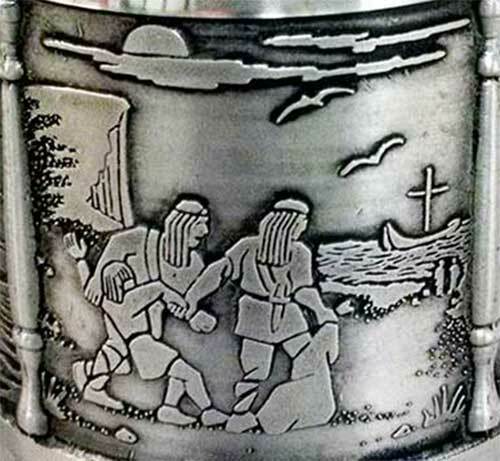 The Irish chalice features four differently embossed panels that depict the life of St. Patrick. The 16 ounce St. Patrick's chalice measures 4" wide at the base (3 1/2" wide at the rim) x 8" tall. The Irish goblet is made in Ireland by Mullingar Pewter and it is gift boxed with a history card detailing the life of St. Patrick. 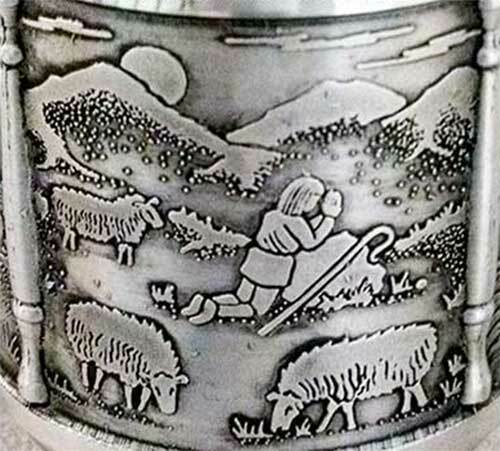 Celtic goblet is an embossed pewter vessel that features a stylized Celtic ox, representing the Evangelist Luke. Celtic goblet is an embossed pewter vessel that features the Book of Kells' angelic depiction of the Evangelist Matthew. Celtic goblet is an embossed pewter vessel that features a stylized Celtic lion, representing the Evangelist Mark.